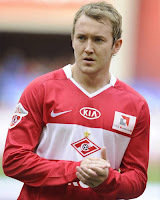 Aston Villa have been linked with a move to end former Celtic winger Aiden McGeady's nightmare spell in Moscow this summer. 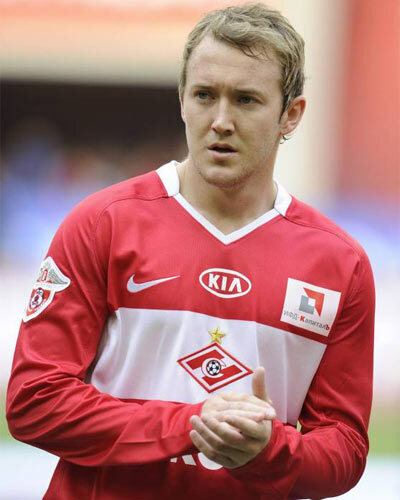 Villa are understood to be an option on the table for McGeady, who cost Spartak almost £10million when they signed him from the Glasgow club in 2010. The Republic of Ireland international, a friend of Villa keeper Shay Given, has endured a torrid time in Russia and was recently substituted at half-time by Spartak boss Valeri Karpin. Reports have claimed the player's wife, Clare, is also unhappy in the city and would welcome a move back to Britain. Villa are likely to be one of a number of clubs interested in the Irishman, 25, with reports in Scotland today suggesting boss Alex McLeish will push the boat out. Big Eck knows McGeady well from his time as Rangers boss and is a long-time admirer of the Republic of Ireland star. McGeady could also provide McLeish with an answer to the frustration he has felt over the performances of winger Charles N'Zogbia, who plays in the same role but is currently injured.